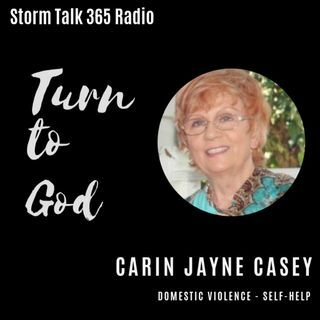 In “Turn to God with Carin,” Carin Jayne Casey encouraged us to turn to God in prayer for rescue, help, and salvation. Prayer is essential – our way to communicate with our Creator. We may not understand challenges in life, but God’s way is always perfect justice. We have the Lord’s Prayer to show us how to pray. Casey shared several of her favorite scriptures of promise, favor, and deliverance. She testifies of God’s deliverance from domestic ... Maggiori informazioni violence: he brought me up out of a horrible pit…(Psalm 40:1-3) as referenced in her book, MY DEAR ROSA JEAN [see www.createspace.com/5035828]. Please join us, your feedback is welcome!